LG webOS Smart TV leaked ahead of CES 2014 launch? An image has been leaked showing LG's webOS Smart TV that is rumoured to be launching at CES 2014 in just a few days. It would be the first webOS-powered Smart TV available since the software was made open source by HP. 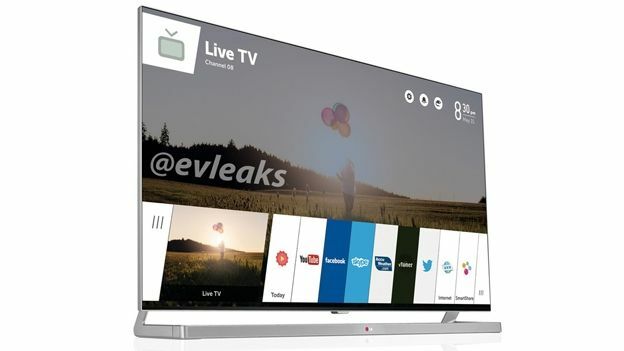 The image was leaked by @evleaks and shows a new LG Smart TV boasting not only a new design but also a completely new interface which @evleaks is claiming to be the new webOS-powered operating system. Other rumours have suggested that LG's first webOS Smart TV will come with a 2.2GHz processor and 1.5GB RAM along with a whole host of multi-tasking features and apps. webOS is a Linux-based operating system that had originally been built for Palm smartphones, it was then acquired by HP and introduced in tablet form on the HP TouchPad tablet. After the TouchPad HP decided to stop making tablets and instead made the software open source. Since then it was acquired LG which has been working on creating a webOS for Smart TVs.